Studies in neuroscience demonstrate that a focus on mindfulness meditation and contemplative spiritual practice has the capacity to increase our non-anxious awareness and significantly lower our stress. Not only is this finding of immediate importance for pastoral counselors and psychotherapists, it will even necessitate a paradigm shift in the way that pastoral and spiritual practitioners approach the general care of souls. The starting point for such a paradigm shift is an acknowledgement of the built-in negativity bias of the brain, and how certain beliefs and theological views may inadvertently reinforce the bias to the detriment of individuals and faith communities. Once necessary for human survival, the ingrained bias can often be excessive for today's world, resulting in negatively disproportionate assessments of life events and human relationships. To balance the neural predisposition toward negativity and anxious awareness, it is necessary for pastoral and spiritual caregivers, and those in their care, to cultivate a regular contemplative-meditational practice. 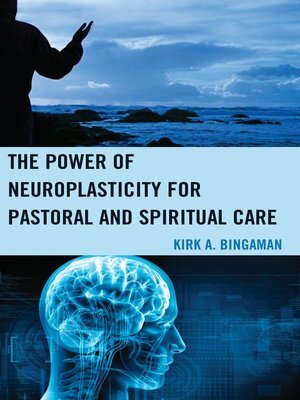 The Power of Neuroplasticity for Pastoral and Spiritual Care focuses on the groundbreaking finding of contemporary neuroscience—that the brain is built for change across the entire lifespan. It is designed to make the research accessible to and relevant for those engaged in the work of pastoral and spiritual care in order to help clients and congregants effect lasting and transformative changes in the mind and brain. Through the regular practice of contemplative prayer and meditation, we can literally calm the stress region of the brain in order to live less anxiously and experience more fully the peace and joy of the present moment. The introduction of mindfulness- and acceptance-based counseling approaches will provide pastoral and spiritual practitioners with an important therapeutic framework to situate their work, from which they can make more informed and effective interventions geared toward using the mind to change the brain. Kirk A. Bingaman is associate professor of pastoral care and counseling at Fordham University. He is a licensed mental health counselor (LMHC) in New York and a fellow with the American Association of Pastoral Counselors (AAPC).